Welcome to the Multicultural Council of Wellington website. 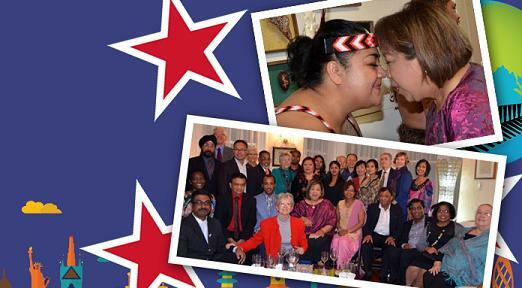 It is a great pleasure to welcome you to the first posting on the new Multicultural Council of Wellington's website. This is a wonderful opportunity to keep us up to date with what is happening around Wellington, and the upcoming opportunities for participation. This is a place where we can celebrate our achievements, reflect on our challenges, and look forward together as we work to achieve the goals outlined in our Strategic Plan. We welcome everyone to participate in the online discussions to help us form connections, gain new ideas, and progress the well-being of our city so that it becomes a place where all people are valued and fulfil their potential. Please share this website with your family, friends and colleagues so that it becomes a resource that is beneficial for all our communities. Contact me if you are interested in joining the Council. Follow us on Facebook to keep up to date with the latest news and events from the Council and the many different cultures in our wonderful city. Original generation time 0.8057 seconds. Cache Loaded in: 0.0250 seconds.